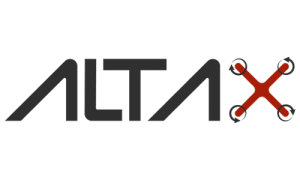 ALTAX Unmanned Systems Consultancy, is a firm dedicated to share our expertise and knowledge to help Unmanned Systems Business attain their goals and solve problems. In a more general sense, we are individuals with vast knowledge and experience in the Unmanned Systems Industry. Fully solving problems by designing the Unmanned System from ground up, tailored specifically to the needs of the application to ensure maximum performance while keeping cost low. Applications like: object tracking, realtime object recognition and so forth. With our deep knowledge and experience in the Unmanned Systems Industry we can advice you on how to use drones in the best way regardless your application. Aerial photography, mapping, inspection among others. We design and build Unmanned Vehicles either remote controlled, remote guided or autonomous. We mainly focus on UAV (Aerial), UGV (Ground) and USV (Surface of water). Fully testing and “tuning” of the Unmanned Vehicle to ensure the best performance according to the specifications of the vehicle. Altax Unmanned Systems Consultancy is a firm dedicated to share our expertise and knowledge to help Unmanned Systems Business attain their goals and solve problems. In a more general sense, we are individuals with vast knowledge and experience in the Unmanned Systems Industry. Altax was founded in early 2014. However, the team had worked on the development of numerous different types of aircraft for many years before the foundation. This combination of skills from a wide range of areas has been, and continues to be, our formula for success. 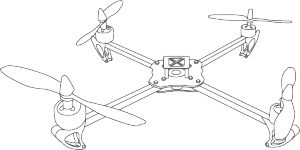 Our objective is to develop and manufacture Unmanned Aerial Systems of under 25kg. Our drones embody quality, which is reflected by the products we make. That is one reason why our customers trust our UAS solutions. Current Aldux's Unmanned Aerial Vehicles (UAV) and Remotely Piloted Aircraft Systems (RPAS).